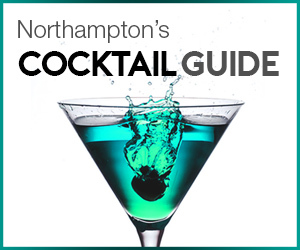 When you think of Northampton, you will not typically picture a blazing sun, cold sangria and plates of tasty Spanish treats. 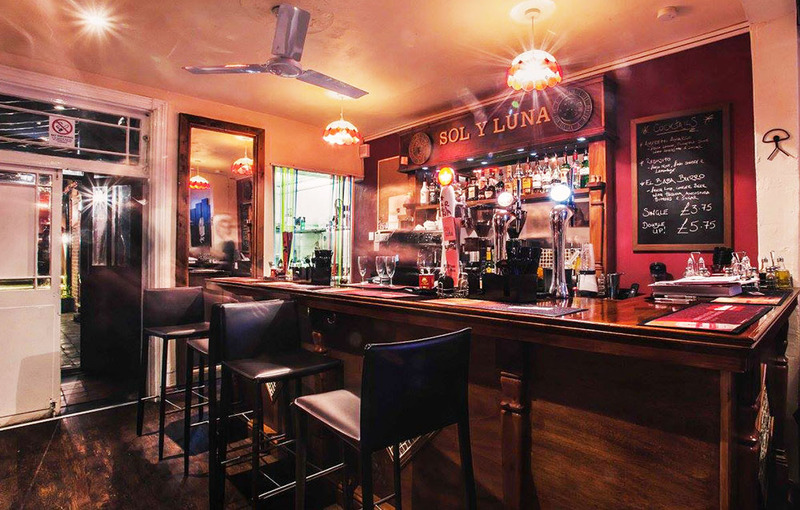 Well that is all likely to change when you step foot inside Sol Y Luna; a small and perfectly formed tapas bar found on Kingsley Park Terrance in Northampton. Since the NG first began hunting and exposing the town’s hidden gems, Sol Y Luna’s name has continuously popped up so it was decided the time had come to visit the tapas pros. It’s important that we make a clear distinction before we dive into this review: Sol Y Luna is not a restaurant; it is a tapas bar. Whilst the two terms may seem synonymous to many, the two become distinctly different the moment you enter the bar. Forget the typical three square course dining experience; Sol Y Luna prides itself on embracing the laidback Spanish style of drinking and eating. 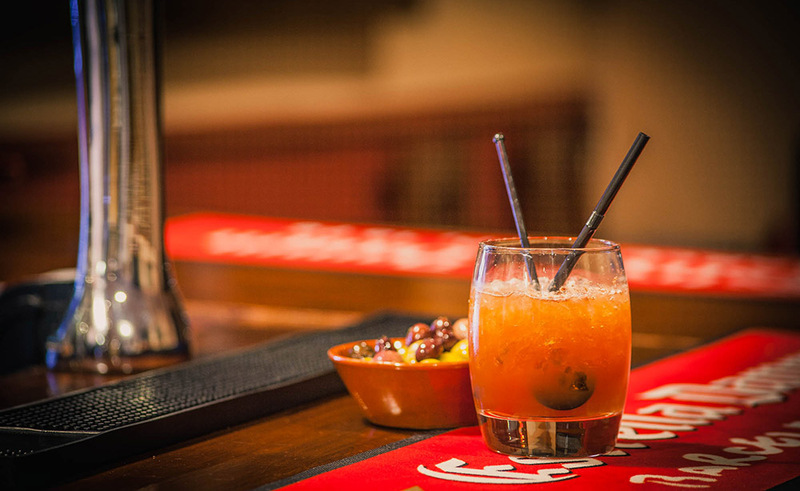 Owner David Morrison explains that authenticity and atmosphere are key to the success and great reputation the bar enjoys, creating more than just a place eat and drink and instead bringing a tapas culture to Northampton. 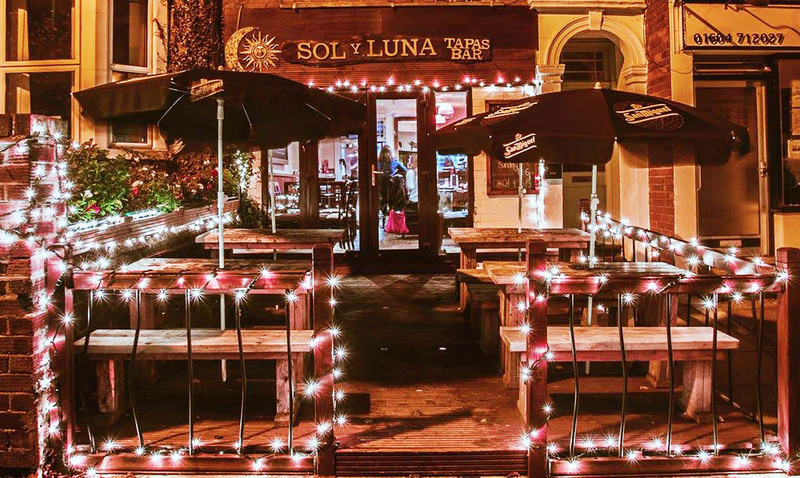 Visiting on a cold Wednesday evening, Sol Y Luna was already buzzing with diners by 7:30pm. 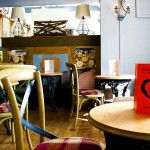 The bar is known to get very busy – a sign of its popularity – so booking a table is a good idea. The inside is small, cosy and packed full of character whilst out back is a glittering, heated outdoor area which remains comfortable even on chilly winter nights. The fairy lit front of the building has more seating and is wonderful space to enjoy some al fresco dining when the warmer months set in. 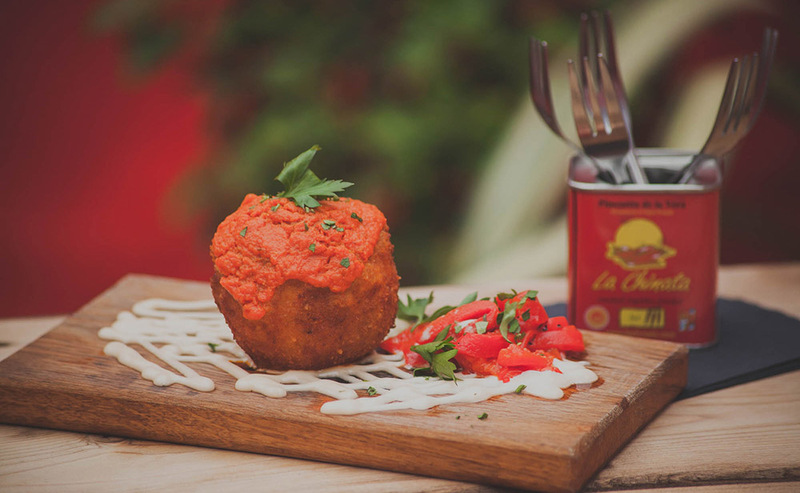 The unpretentious surroundings remain as true to the concept of a Spanish tapas bar as possible and it’s the little details that stand as a testament to the authenticity they work so hard to achieve. Cutlery can be found in La Chinata paprika pots; Spanish music playing in the background is selected by the Spanish foreign exchange students that work there; and all the furnishings, from the tables to the chairs, wear each chip and imperfection as a mark of pride for the happy diners they have served. Combine this with the friendly, vibrant atmosphere and the result is a hidden gem bursting with Mediterranean soul. Simply put, it is exquisite. 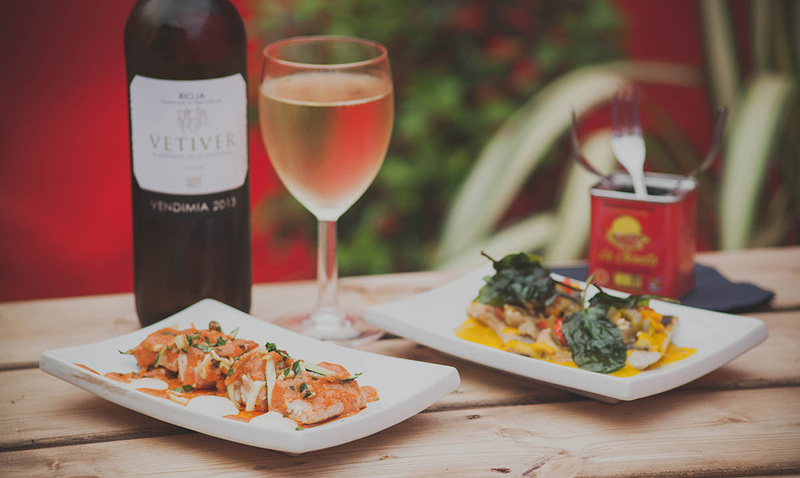 As much effort as possible is put into ensuring the food is the real deal and the tapas mavens pride themselves on sourcing genuine, high quality Spanish ingredients – the bar often sources unique products unlikely to be found anywhere else in Northampton thanks to an extensive Spanish network. It is the responsibility of chefs José and José to use these fine ingredients to serve up countless delicious Spanish dishes. To really make the most out of Sol Y Luna, you have to embrace the relaxed, sharing culture that is tapas. Being the sophisticated carnivores we are, it is rare for us to get excited over vegetarian dishes but at Sol Y Luna the veggie dishes are just as appetizing as the meat. The Patatas Bravas (£4.85) – twice cooked fried potatoes with tangy tomato salsa bravas – were moreish whilst the Champiñones con Ajo y Perejil (£4.95) –cup mushrooms marinated in lemon and parsley and cooked with generous amounts of garlic – oozed with flavour and delighted with each juicy bite. It was the exceptional Piquillos Pimientos (£5.95) that completely blew us away however, with the sweetness of the piquillo pepper – imported directly from Spain – beautifully offsetting the cool, mild cream cheese and walnuts. It was not just the vegetarian dishes that won us over. The Costillas a las Finas Hierbas (£.6.75) – slow roasted pork ribs marinated with herbs – had to be some of the most tender meat we had the pleasure of tasting and the seasoning of the chicken and spiciness of the chorizo in the Moruno Polly y Chorizo (6.45) was excellent. It was the Lubina al Gaudi (£7.95) – perfectly cooked seabass with fragrant a lemon & saffron sauce – and the handmade La Bomba de Barcelona (£5.95) with its piquant, spicy tomato sauce resting on top, that were truly showstopping . With the bar even making their alioli fresh, it is this attention to detail and quality that has seen Sol Y Luna gain such wide praise and admiration in the town. As with every other element, Sol Y Luna maintains their dedication to authenticity. 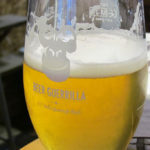 Beers include Estrella on tap and there are an endless number of Spanish wines to choose from. It is the bar’s cocktail guru James Sheppard that uses his experience and creativity to concoct a range of boozy treats. 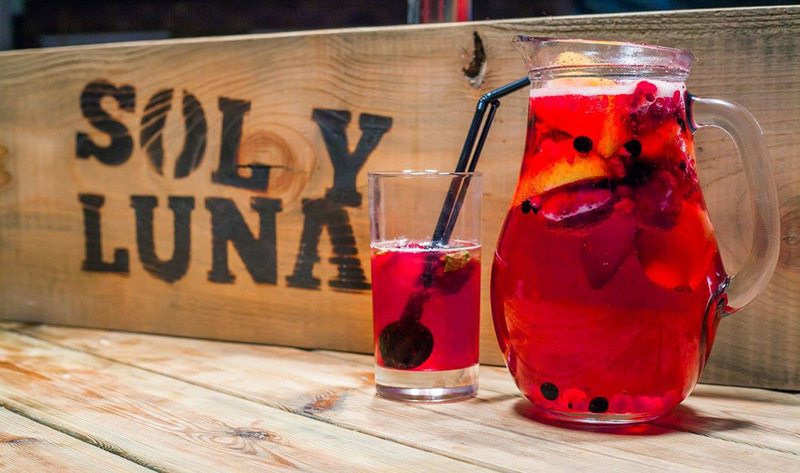 Don’t worry, we can hear you asking that all important question as well; do they do sangria? The answer is yes, and they do it very well. It is with their Sherry selection however that the bar truly comes into its own and five minutes sitting at the bar will leave you questioning all your preconceived notions that the tipple is reserved for grans over Christmas. Alas, the bar’s Sherry list and expertise are so substantial that it deserves – and will have – a feature all of its own. It is clear after an evening in Sol Y Luna why so many people are willing to brave the cold of winter nights in hope of grabbing; they are very good at what they do. The passion for providing something unique and special to their customers runs throughout the bar and the dedication to providing an authentic tapas experience is more than admirable. 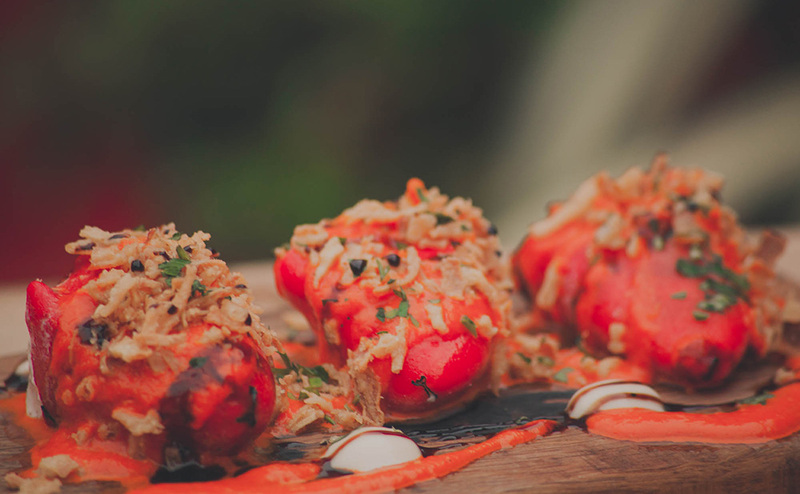 Managing to serve mouth-watering food but keep its relaxed bar ambiance, the highly versatile Sol Y Luna is arguably one of the most ideal date destinations we have come across on our travels, but is also a brilliant place to visit with friends or family. If you want a trip to Spain without the bill, we would more than happily recommend paying Sol Y Luna a visit. Just remember though, it’s a bar; not a restaurant.